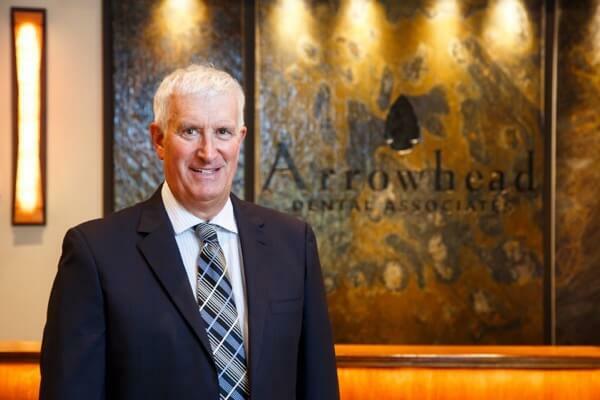 Dr. Gouin established Arrowhead Dental Associates in 1978 after graduating from Tufts University School of Dental Medicine. He received his undergraduate degree from the University of Rhode Island in the field of Microbiology and Chemistry. He is an active member of the American Dental Association, the Rhode Island Dental Association, and the local South County Dental Society. As a member of the Academy of General Dentistry, Dr. Gouin is committed to improving his skill and level of patient care through continued education and was awarded the Academy’s fellow status in July of 1998. Dr. Gouin is also a fellow of the Pierre Fauchard Academy and the International College of Dentists. Arrowhead Dental received the 2016 Humanitarian Award In addition to Dr. Gouin’s being voted a Top Dentist in RI Monthly Magazine. He has been recognized for his outstanding dentistry and commitment to furthering Arrowhead Dental into a charitable and growing office. Dr. Gouin is married to Dr. Christine Benoit and has lived here in Charlestown since 1978. They have two children, Annick and Dr. Brendan Gouin who joined the practice in 2009. Dr. Gouin enjoys mountaineering, hiking, and is a master gardener. His mountaineering has taken him to the highest point in all fifty states and three of the world’s seven summits.